Giving Chicago drivers the perfect combination of efficiency, practicality, and performance, it’s no wonder so many drivers choose the sporty and versatile 2018 Nissan Rogue. With seating for five and plenty of cargo space, the Rogue is a practical size for commuters and families alike, giving drivers the useful interior space of a cargo space of an SUV with the dynamic drive of a sporty sedan. Great for everyday driving or weekend adventures, the Rogue is designed to handle whatever your schedule throws at it. 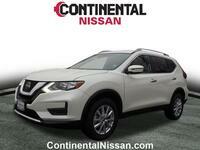 Inside the Nissan Rogue, the versatility continues with its spacious interior design. It offers seating for three on its second-row bench seat, and plenty of room in the back for groceries, gear, or even your dog. Its split-folding second-row seat allows you more cargo space for larger items like furniture whenever you need it. 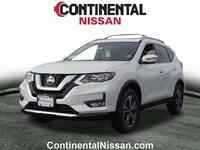 If you’re interested n getting behind the wheel of the new 2018 Nissan Rogue in Chicago, we recommend taking a look at the models available here at Continental Motors. 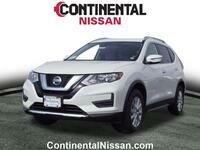 With the Nissan Rogue, you get all of the best and latest technology in the automotive industry, with a long list of impressive safety, performance, convenience and entertainment options available to buyers of this sporty crossover. One of the model’s most notable additions this year is its Nissan Intelligent Mobility and ProPILOT Assist feature. Available on the Rogue SL when equipped with its Platinum Package, this feature activates with the push of a button and offers assisted steering, braking, and acceleration when drivers are traveling on single-lane highways. With this system active, it’s easier for drivers to keep the Rogue centered in its lane, maintain a set speed as well as keep a set distance from the car in front of it. In addition to the ProPILOT Assist system, the new Rogue also features a new standard 7-inch color touchscreen display that functions with Android Auto and Apple CarPlay as well as offering NissanConnect. Behind the wheel, you’ll experience top-notch performance from the Rogue’s 2.5-liter 4-cylinder engine that’s able to offer a power output of 170 horsepower and 175 lb-ft of torque while also achieving an estimated combined rating of 29 mpg with its FWD models and 27 mpg with its AWD models. For more information about the 2018 Nissan Rogue, contact us today at Continental Motors! Simply give us a call or click the button below and we’ll be happy to help you get behind the wheel of the model that’s right for you!